Caps Game Entertainment aired a pretty special video last night that would warm the heart of any Ramones fan, a riff on their classic, Blitzkrieg Bop, but in lieu of “Hey Ho, Let’s Go!” it was “A-O, Let’s Go!” The band played 38 dates in Washington between 1976 and 1992, but we’re not sure when Alex joined them. 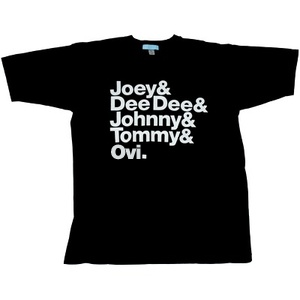 Joey, Dee Dee, Johnny, Tommy and Ovi! And this would be a pretty sweet T to sport at Verizon. 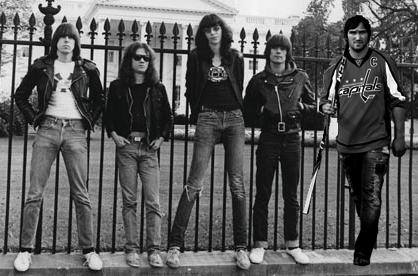 This entry was posted in Washington Capitals and tagged Alex Ovechkin, The Ramones. Bookmark the permalink.